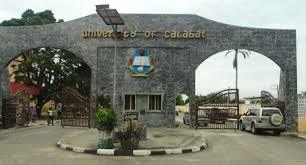 Candidates who choose University of Calabar and sat for the 2017/2018 PUTME screening exercise are by this notice, advised to log on to myunical.edu.ng to check their admission status. Candidates are to log on with their Jamb registration number to check their admission status. 1. Candidates whose names appear on this list are please advised to login to JAMB portal to either ACCEPT or REJECT their admission offers within 72 hours from the date of this publication, failure which the admission may be REVERSED. 2. Candidates whose names DO NOT appear on this list have either ACCEPTED their offers or are YET-TO-BEadmitted. 3. Those YET-TO-BE admitted and whose scores fall within the approved cut-off mark with the required subject combination are advised to check the school portal regularly to know their admissions status.